Marketing experts will tell you the way to attract business is to have what your clients’ want, when they want it. 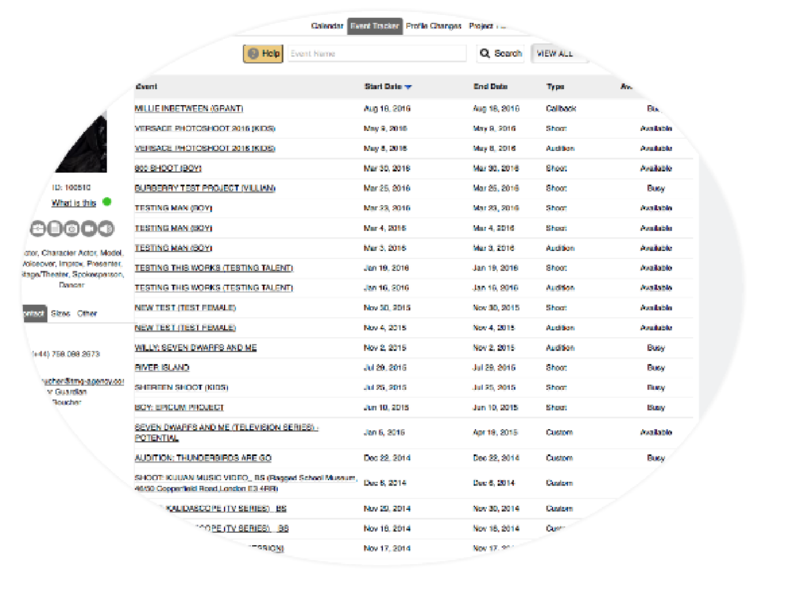 Our Talent Agency Software (TAS800) is an all-in-one, system specifically designed for talent agents and managers to organize and facilitate the business side of your agency and ensure that your talent get noticed. If you present your talent professionally and expeditiously your bookings will increase. Here’s how – Your agency and talent automatically become part of the 800Casting network which connects you to hundreds of client … directors, casting directors, photographers and other industry professionals on a daily basis. Each talent maintains his or her own profile, which you as the agent may modify as necessary. Talent profiles are available online and include images, video clips, voice-over, resume with the ability to print and email in a professional and acceptable format. Manage profiles and professional portfolios for all managed talent in your agency. Search unrepresented talent and models internationally, filter potential talent/model to your specific needs. 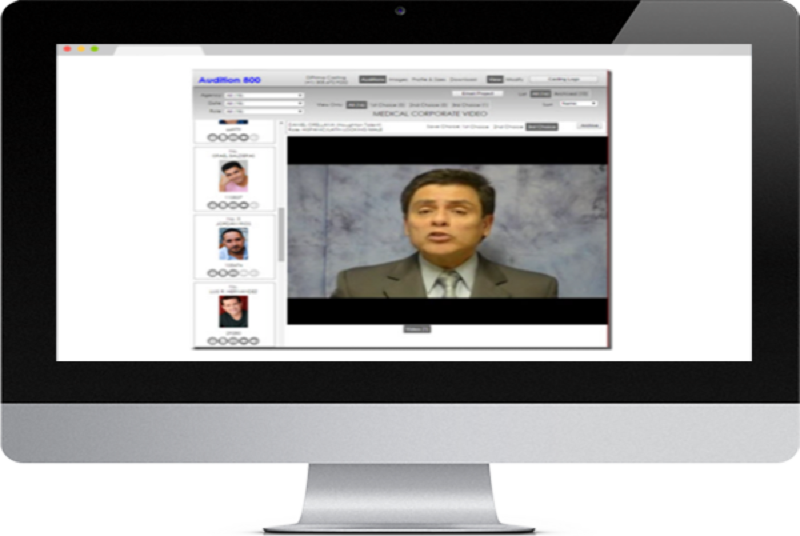 Submit reviewed talent audition recordings to your clients using our patented software system. Full management software system where both agency and talent can maintain and update profiles. The software automatically logs all email communication with talent and clients for easy future retrieval. 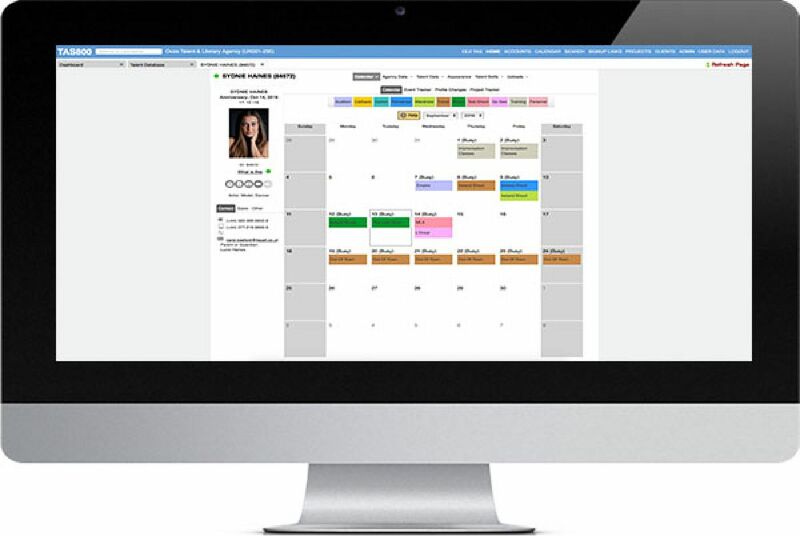 Access talent calendar schedules and eliminate double booking talent and booking unavailable or out of town talent. 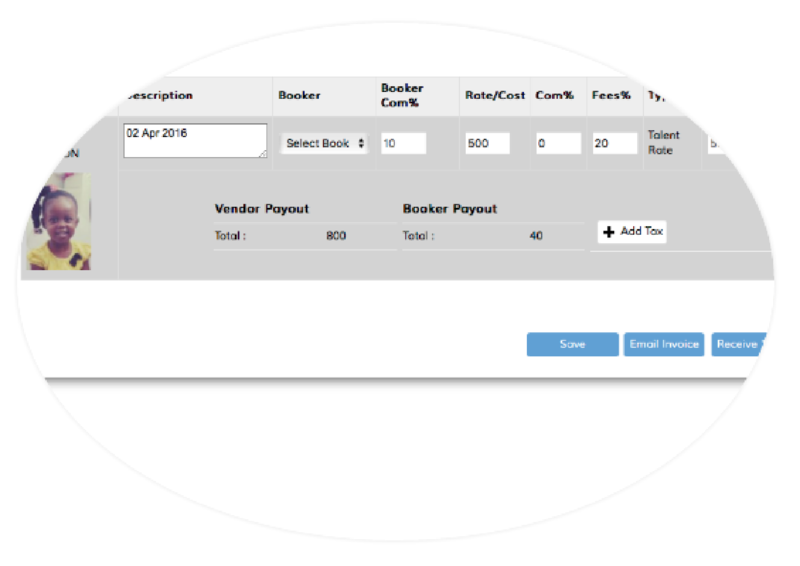 Multi users access, allowing full management of users such as bookers with the ability to manage the level of access. Be alerted to schedule overlap when booking talent Integrate scheduled appointments with talent calendars, talent will always have their schedules. Be aware of talent out of town, holiday schedules or personal busy status. Generate professional submissions when presenting your talent/model to clients. 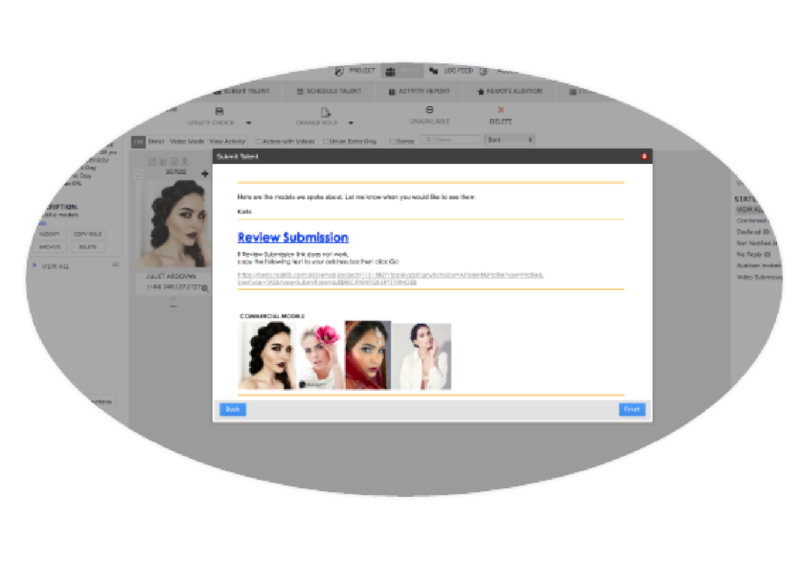 Receive responses from clients within the software for each individual submission. Create projects and submit your talent/model to multiple clients professionally. 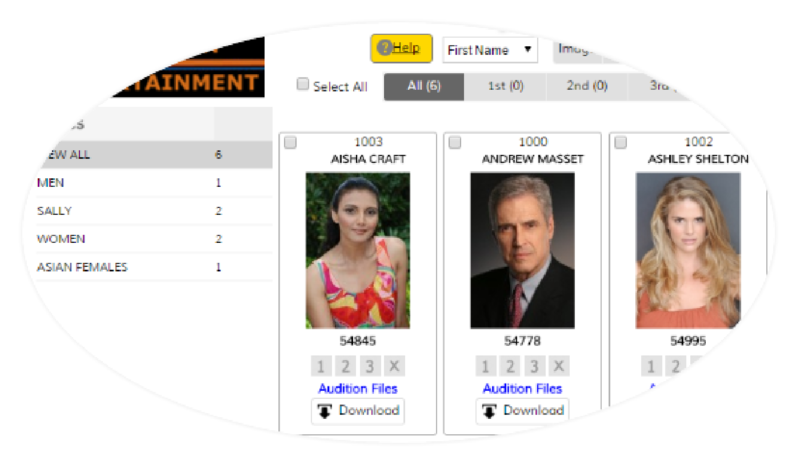 Search every element of a talent/model profile for quick access to filtered talent. 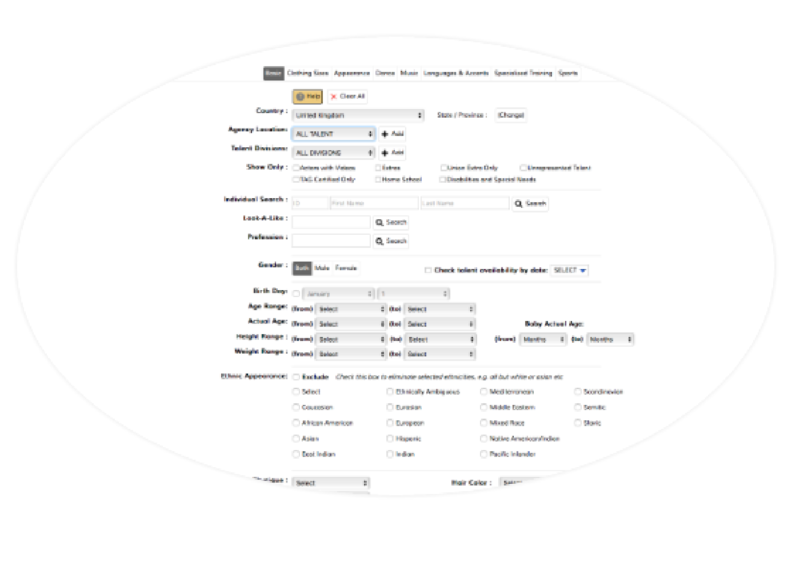 Search by divisions, simultaneously manage a range of talent within your agency. Search by location, manage talent/models locally, nationally and internationally. Track all changes made to your agency database. Monitor profile changes made by talent to maintain a professional profile every time you submit your talent. Audition Invitation allows talent and models to self-tape and submit their video for review upon invitation. Express Audition allows talent to audition for any client, in or out of network.